Rugs always look better after they've been vacuumed. But they can look almost new once they've been professionally cleaned. 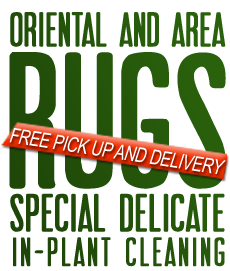 Rug Cleaning Los Angeles knows everything there is to know about how to deep clean rugs of all types. Once the proper protocol for cleaning your rugs is established, Rug Cleaning Los Angeles rug cleaners take decisive action and starts the job of cleaning your rugs. As it turns out, many rug owners own rugs of different types, so the crew has to be prepared for any situation. They bring along all the required cleaning products and equipment. Regardless of the method that Rug Cleaning Los Angeles prescribes for your rugs, the first steps in all rug cleaning are sweeping followed by vacuuming. Even though Rug Cleaning Los Angeles uses industrial, high power vacuum cleaners with super strong suction, rugs in homes with pets are swept first to help dislodge fur and hair that typically twist up in carpet fibers. When size permits, rugs are also vacuumed from the backside. In fact, reverse side vacuuming is usually done first as dirt and debris that is not sucked up in the process often falls from the rug onto the floor. Note: Rug Cleaning Los Angeles does not recommend vacuuming rug fringe or tassels, as they can become damaged in the process. Similarly, the last step in all rug cleaning is thorough drying. This is a critical step, as mold and mildew love damp or moist carpets. Even worse, poorly dried carpet can begin to rot and smell. Once you've made the decision to have your rugs professionally cleaned, don't take chances. Call 818-748-6176 the rug cleaning experts, Los Angeles Carpet Cleaners for the best, and safest, rug cleaning in town.